The sheer nostalgic force of the DeLorean DMC-12 is still a potent ingredient for many a movie fan worth his salt. 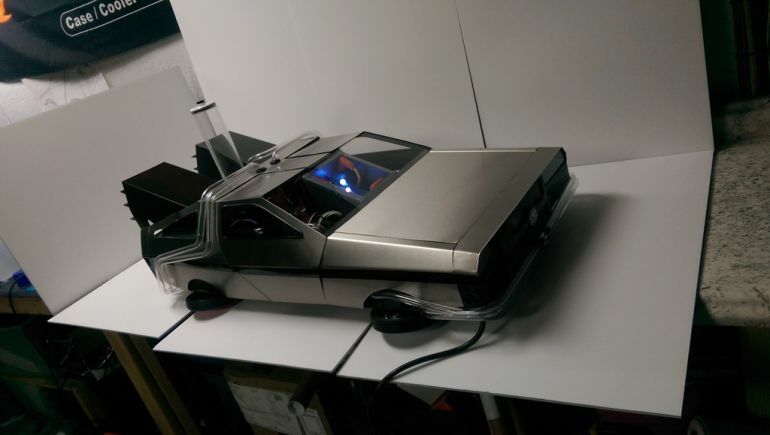 And now the sports car from Back To The Future has made its comeback in the bantam form of a computer mod crafted by Marc Molella. Aptly christened as the ‘Back to the Mod’, suffice it to say, our resourceful modder focused more on its design aspects rather than ‘under the hood’ credentials. 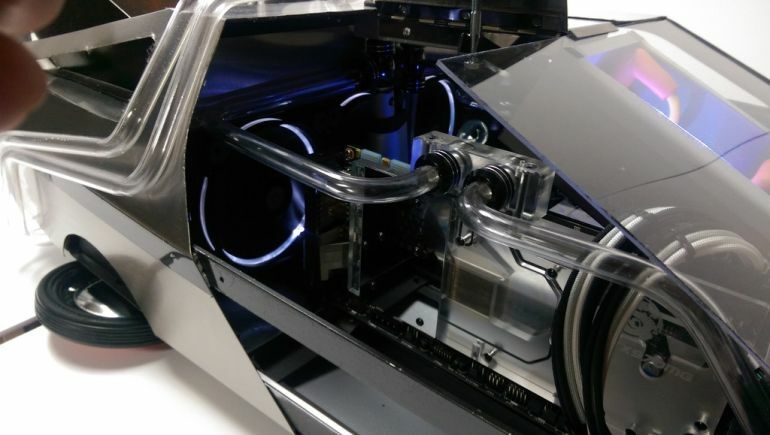 And the results are there to behold – with the ‘Back to the Mod’ PC case seriously tickling our geeky fancy. 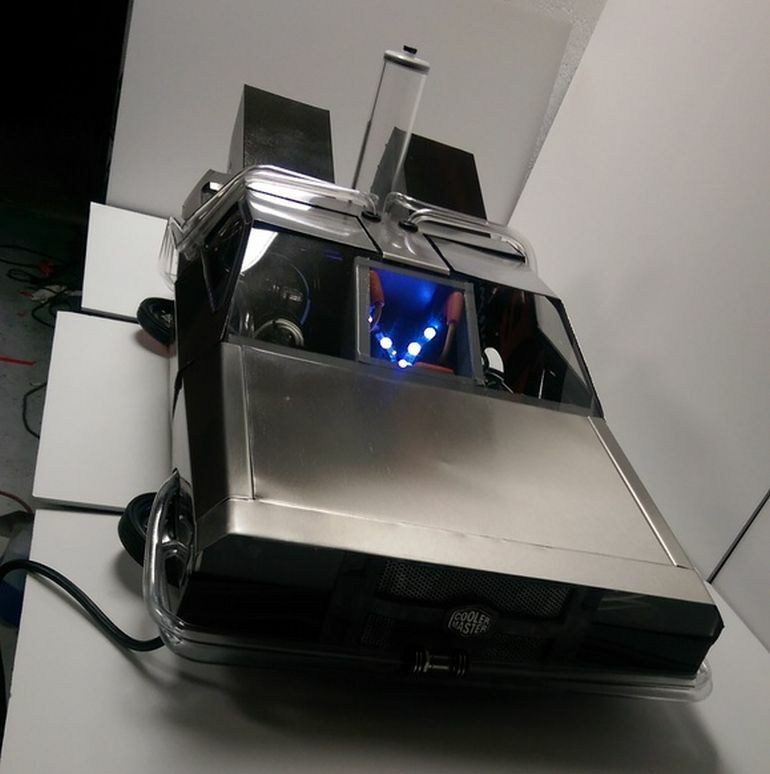 The incredible part about this creation is that much of the ‘sculptural’ chassis of the mini DeLorean was salvaged and modified from an old Cooler Master cabinet. And after Molella was done with the physical form of this car/mod, he incorporated some nifty LED strips to complete the whole retro-futuristic vibe. This nostalgia-inducing visual impact is further complemented by some practical features, like the integration of water-cooled components on the inside to keep the machine’s running temperature low. And, since we brought up the ‘insides’ of the Back to the Mod, we would presume Molella’s CPU boasts of some pretty good hardware, including a MSI X99 Xpower motherboard, G.Skill DDR4 3000MHZ RAM, MSI GTX 970 graphics card, G.Skill Phoenix Blade SSD, and a Thermaltake DPS 850 PSU. In any case, you can take a gander at the crafting process of this impressive mod over at Modders-inc.com.